Jeff Naylor evaluates Amstrad's latest surprise -the 128K 6128 machine now in the shops Some manufacturers have a reputation for announcing new machines, then trying to get them working, and finally (or sometimes never) releasing them. 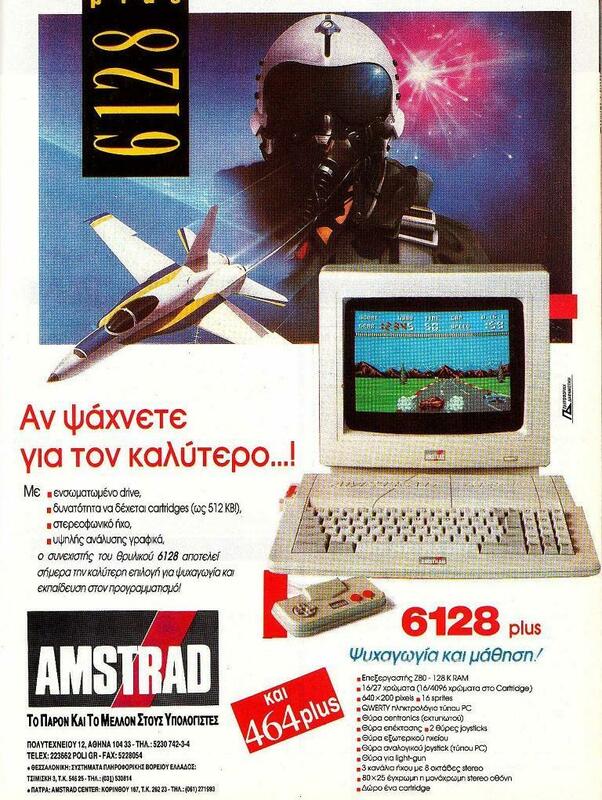 Amstrad doesn't work like that. Its new 6128 was available in some shops two weeks before being officially announced. The micro features a Z80A processor, 128K of memory banked in two 64K blocks, a single built-in 3 inch disc drive and either a colour or monochrome monitor. Depending on the choice of monitor the whole package costs either £399 or £299. 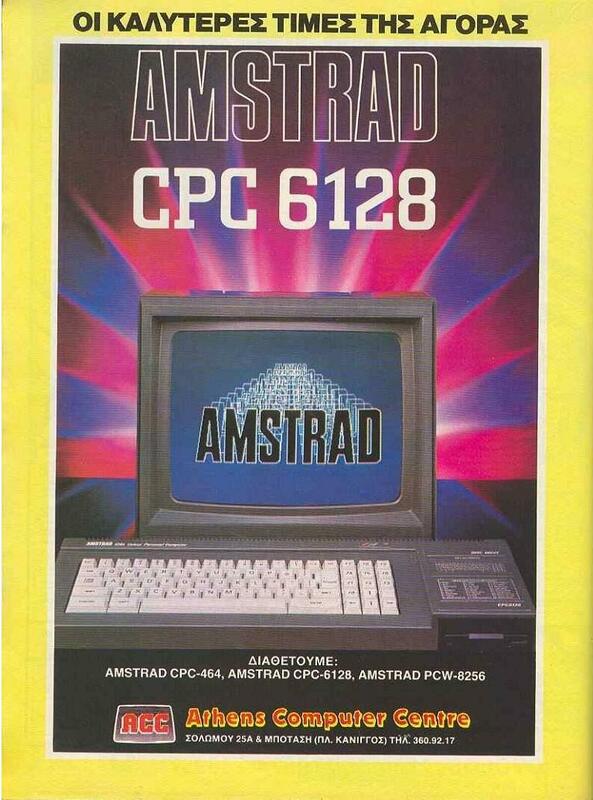 The new CPC 6128 is a logical progression in the series of Z80-based Amstrad machines using and expanding on the same teclmology developed for the 464. 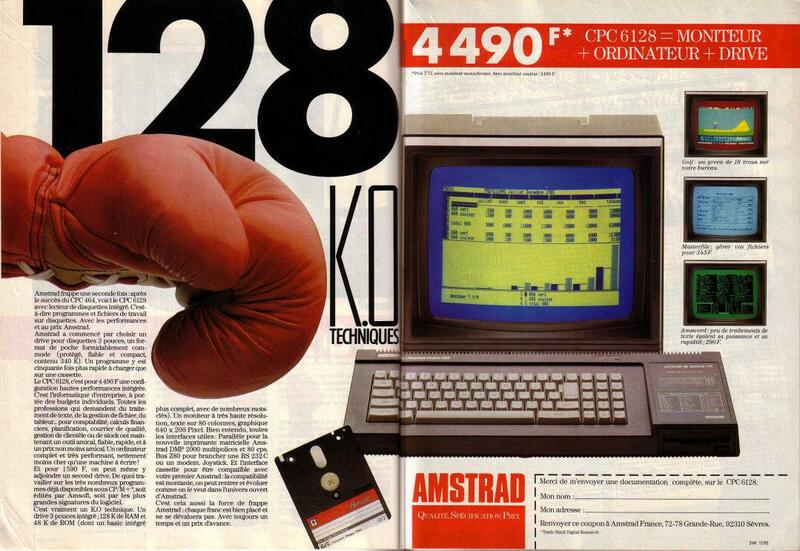 The original 464 provided Resident System Extensions to allow additional commands to be created. These were used to provide extra disc instructions when the DDI-1 disc unit was added to the system. The 664 replaced the built-in cassette player with a disc unit and added a debugged ROM (no Line Input bug) and offered a slightly extended version of the 464 basic. 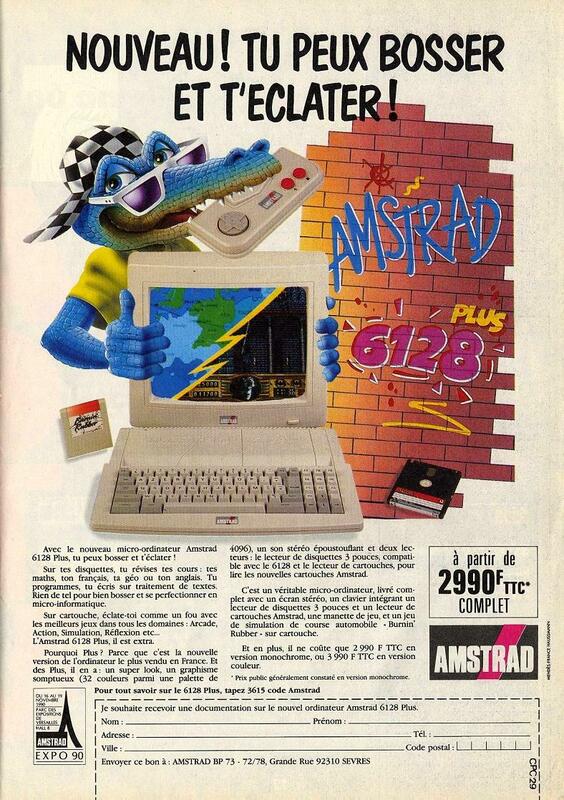 Now, only four months after the 664, Amstrad offers the new 6128. 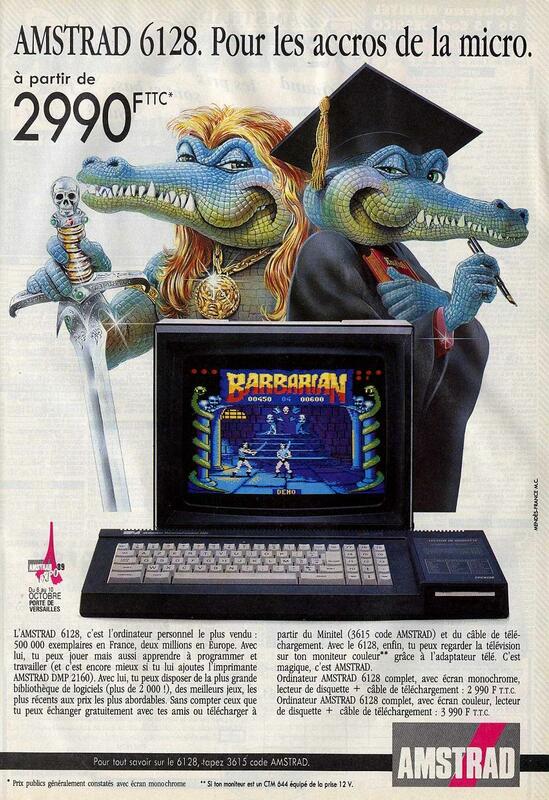 It contains an extra 64K of Ram, but the firmware is fully compatible with the 664. Bank switching has always been a feature of the Amstrad as Roms overlay the Ram addresses on the 464, and the 6128 extends the principle to an extra bank of RAM. The first thing you notice about the 6128 is how neat it looks. It is a lot slimmer than its predecessors, achieved because the disc unit is very compact and also by squeezing the keyboard and function keypad together and reducing the size of some keys. The cursor Copy key arrangement has also been altered; Copy has moved bottom left alongside a repositioned and enlarged Control key, while the cursor keys have been resited at the bottom of the function keypad. It's tempting to quibble about the keyboard changes: I don't like the small Delete key (which I'm always using) or the position of the right-hand Shift. The latter is sandwiched between Return and Enter, a duplicity caused by the need to retain the same number of keys as earlier machines. One final moan: all the keys are now the same colour. Connections to the 6128 offer no surprises: stereo sound, joystick, tape, printer, expansion, power, monitor and disc drive two. Inside the case, a neat circuit-board nestles under the keyboard, but does not extend the full length, despite the extra Ram chips. There is about three inches of space between the board and the disc drive, making the new circuit-board small enough for use m a portable machine. Eight additional 64K Ram chips are used to provide the extra bank of memory. This is enabled through the video gate array in much the same manner as internal ROM selection is achieved. One further cause for speculation is a spare integrated circuit socket which will take a ULA chip . . .
And so to the 65,536 dollar question, asked of all eight-bit computers with more than 64K of RAM. What use is the memory that can't be addressed directly by the CPU? If programming in Basic, the answer is a complex one, but it boils down to "not a lot". The 6128 uses the same Basic as the 664, so you cannot write bigger programs because the interpreter is unaware of the additional 64K. Use of the extra memory is instead facilitated by a suite of RSX routines supplied on one of the system discs. Once these are loaded a number of extension commands become available. Bankopen,n sets up the second bank of Ram for string storage; the n parameter defines the length of all the strings up to 255 characters. To use the space, commands Bankwrite. Bankread and Banktind are employed. The whole system operates like a Ramdisc. You may read from or write to either the current record or one specified by an optional parameter, or search the memory for a string matching the one you have specified. In all cases a parameter returns the record numbeT or a negative value if the operation fails. Screenswap and Screencopy allow the extra Ram to be used for screen storage, but they do not reprogram the video chip to fetch its video information from elsewhere. All that they do is copy 16K blocks of data in and out of the video Ram area. You may store four additional screens, but displaying them can take half a second. Machine-code programs will find the extra Ram much more useful, with a firmware call at &BD5B allowing access to the second bank, but in the short term it seems unlikely that software houses will write programs that cannot run on the whole range of Amstrad machines. The main justification for the extra Ram is Digital Research's CP/M version 3.1 (CP/ M Plus) Which is supplied as standard with the CPC 6128. Earlier disc-based Amstrad machines run CP/M 2.2, but the video chip requires 16K of the memory map. Therefore the 464 and 664 have only 39K available for transient programs. Some CP/M programs need rewriting in order to run. and even then may be slow because of increased disc access. The 6128 has none of these problems. Its version of CP/M exploits the extra Ram, resulting in a transient program area (TPA) of 6IK. CP/M Plus includes a number of other improvements. More meaningful error messages are displayed as a scrolling banner at the bottom of the screen (if you find this irritating you can disable it). Because more of the operating system is stored in RAM. there is no need to "warm boot" (ie press Ctrl C) every time you change discs. Although CP/M Plus is much improved, earlier CP/M software is easily up-graded, so the vast range of software (including the 'freeware' of the CP/M user's group) is now truly accesible. 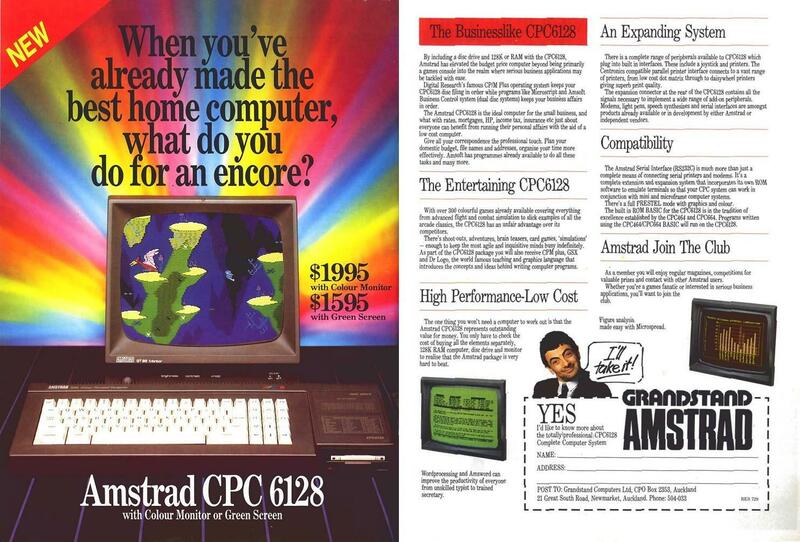 The CPC 6128 comes with two system discs. In addition to CP/M Plus and the Bank Ram Manager RSXs, a host of other goodies are mcluded. The Digital Research Graphics System Extension (GSX) allows CP/M programs to use graphics. Logo is also supplied, along with some standard utility programs. Some of the machine-code tools though unfortunately assume that your processor is an Intel 8080 chip, so some have limited uses. Amstrad have also included Disckit3, a fairly friendly disc formatter and copier, while Pip (the file copy program) has been rewritten to work on a single drive system. Just to be safe, one side of the system disc contains CP/M 2.2, useful if you upgrade from a 664 or 464 plus disc and want to run your old software. 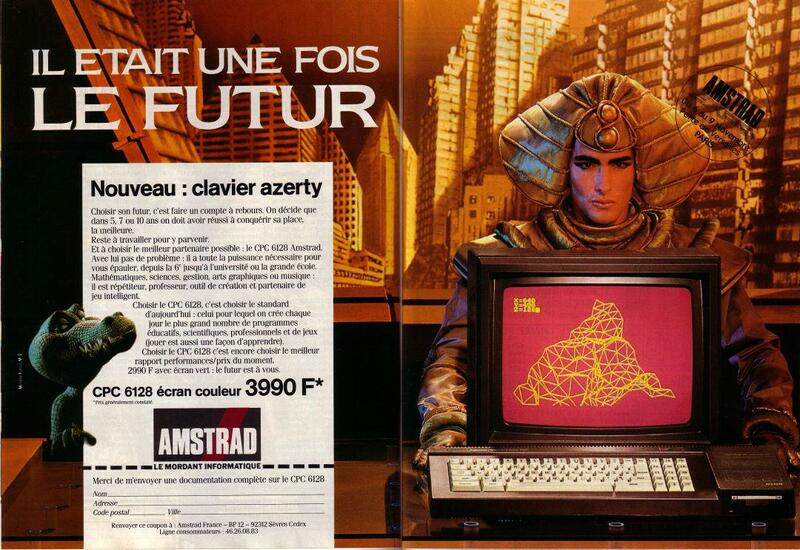 Anything that runs on the other Amstrad disc machines can be used with confidence. If you wish to transfer files from cassette, then you will need to use the utilines on this disc, which are much the same as those for the 464 disc drive. 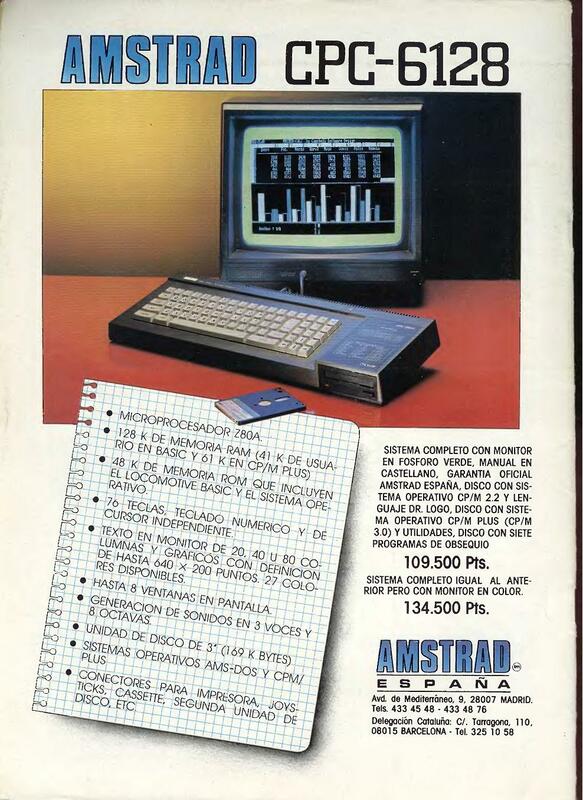 Viewed in isolation from other Amstrad computers, the CPC 6128 is a very well-designed and manufactured piece of hardware. Some of the keyboard features may seem retrograde step to current Amstrad users and the extra memory is not particularly useful to Basic programmers. 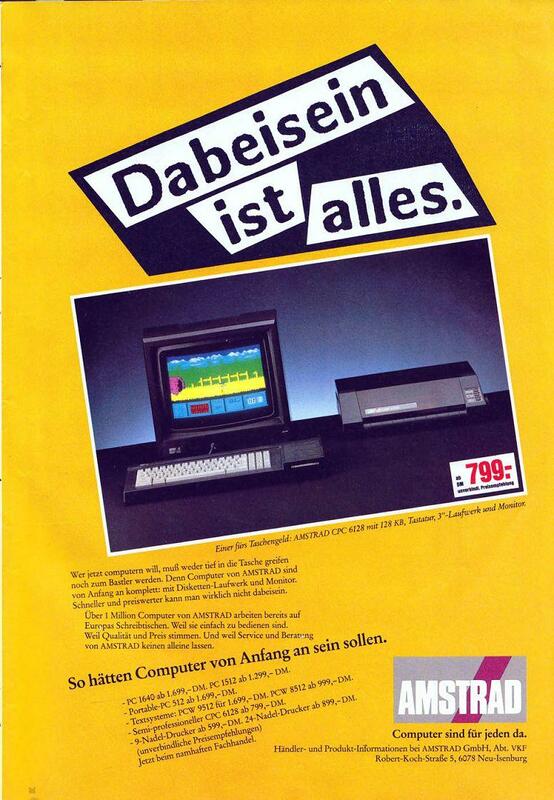 The 6128 is still only a 8-bit machine (a boring Z80 crate, according to one commentator). 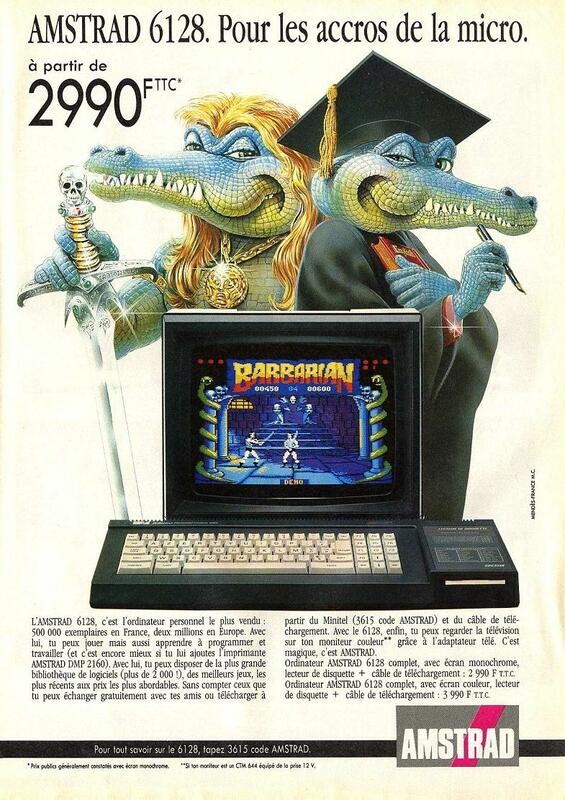 But each of these points can be countered the restyling has resulted in a more attractive machme, the improved CP/M, CP/M Plus, is only possible because of the memory size, and Amstrad must be praised both for the compatibility of their computers and the size of the existing software base. Which leaves the prices: computer, disc drive and monitor for £399 in colour, £299 for a green screen. They represent a new step in value-for-money. The green screen version is only £20 more than Commodore's proposed C128 - and that has neither disc nor monitor. As for the BBC B Plus at £499 no comment. The 6128 is the most attractive new 8-bit micro so far this year. 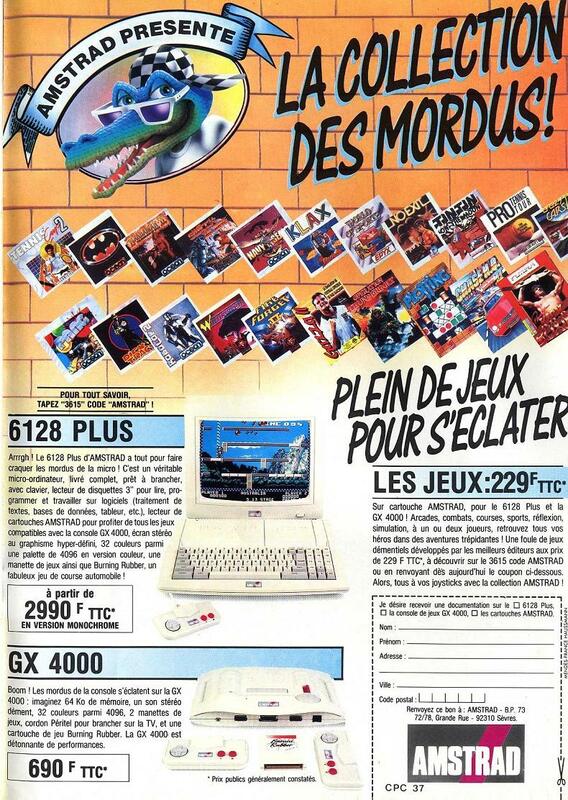 The only people who may complain will be those who have just bought an Amstrad 664.